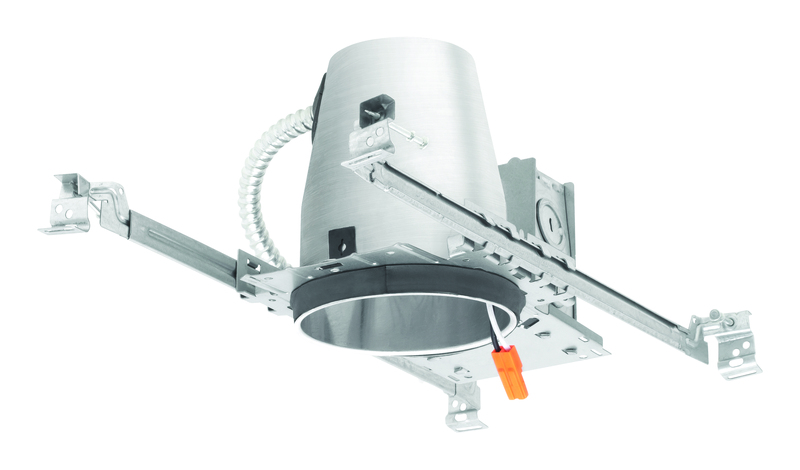 4" LED recessed housings are specially designed for quick and easy installation during new construction projects. Each housing comes with a dedicated LED push-in connector system that provides high efficacy code compliance when used with qualified LED trims equipped with same connector. The airtight design helps reduce heating and cooling costs by minimizing air flow through the ceiling. These recessed cans are IC rated for contact with insulation, and they are pre-wired for easy installation.